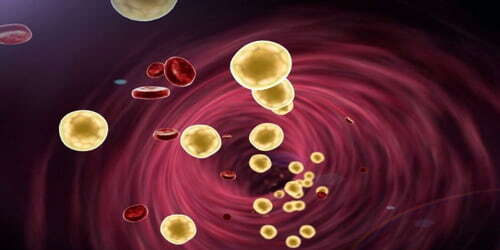 Definition: Dyslipidemia is a medical condition that refers to an abnormal level of blood lipids. In developed countries, most dyslipidemias are hyperlipidemias; that is, an elevation of lipids in the blood. This is often due to diet and lifestyle. Prolonged elevation of insulin levels can also lead to dyslipidemia. Likewise, increased levels of O-GlcNAc transferase (OGT) may cause dyslipidemia. The most common type of dyslipidemia is hyperlipidemia or high lipid levels. Another, less common form of dyslipidemia, hypolipidemia, refers to lipid levels that are abnormally low. 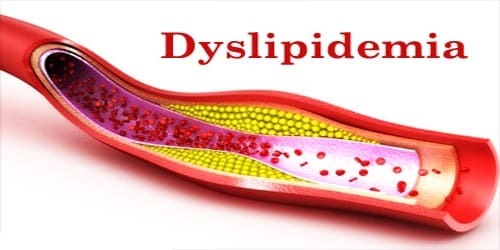 Dyslipidemias can affect any lipid parameter, including LDL cholesterol levels, HDL cholesterol levels, triglycerides, or a combination of these lipids. Causes and Risk factors of Dyslipidemia: There are many factors that can cause dyslipidemia ranging from inherited disorders to our lifestyle. The causes of dyslipidemia can be divided into two main categories: primary or secondary dyslipidemia. Also, a low HDL cholesterol level is associated with a high LDL level, though the two numbers don’t always move in tandem. 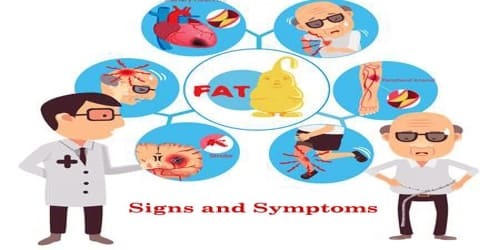 Signs and Symptoms of Dyslipidemia: There is no true way of knowing whether or not people have dyslipidemia whether hyperlipidemia or hypolipidemia unless people have a lipid panel performed. Severe or untreated dyslipidemia can lead to other conditions, including coronary artery disease (CAD) and peripheral artery disease (PAD). Testing the general population under the age of 40 without symptoms is of unclear benefit. In rare cases of extremely high lipids, raised, yellowish bumps referred to as xanthomas may appear on the body. Diagnosis and Treatment of Dyslipidemia: A simple blood test that checks for LDL, HDL, and triglycerides will reveal whether people’s levels are high, low, or in a healthy range. These numbers can change from year to year, so getting annual blood work is a good idea. If people take medications for dyslipidemia the doctor may want them to have more frequent blood tests. There are a variety of treatments and other measures available to address dyslipidemias. 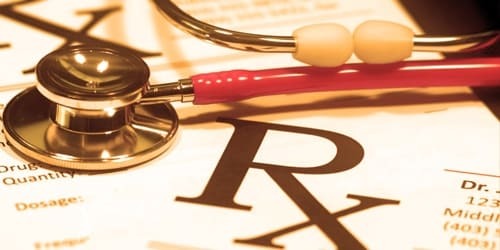 Doctors may prescribe one or more lipid-modifying medications for people with very high total cholesterol levels of at least 200 milligrams per deciliter of blood. High cholesterol is usually treated with statins, which interfere with the production of cholesterol in the liver. Some lifestyle changes and supplements can help to encourage healthy blood lipid levels. The first step is to change our diet. Changes should include consuming less saturated fat, refined sugar, and alcohol. Adding more fruits, vegetables, lean proteins, and whole grains to our diet may help. Daily exercise and weight loss may also help us improve our cholesterol profile.